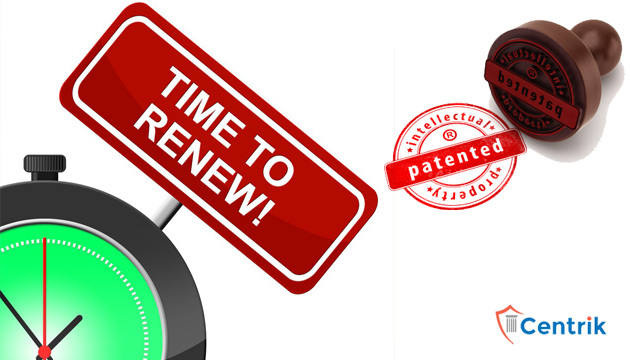 Want to Renew An Expired Patent? Know How? CentrikBlogsBusiness AdvisoryRegistration And ComplianceWant to Renew An Expired Patent? Know How? Patent is the form of intellectual property valid for 20 years. The Patent is not considered after its 20 years passes. A patent can be renewed before the completion of 20 years. This happens when patentee does not pay the renewal fee for the specified period of time. Sometimes fails to pay the extendable period is 6 months (when requested). The Indian Patent act provides and governs the patent. Provision of Safeguarding and restoring patents are given in this act. The patentee has to pay a certain amount of prescribed fee useful renewal. In certain conditions, patent was held by two or more persons jointly then with the leave of the Controller one or more of them without joining. There are certain conditions in which others may submit the application for restoration within eighteen months from the date on which the patent is ceased to have the effect. Renewal fees can be paid by any person but the application for the restoration of a lapsed patent, the application has to be made by the patentee or his legal representative. In case the patentee or legal representative fails to pay the renewal fee within the prescribed period and also within the extendable period of six months by requesting the extension of time, the patent ceases to have effect or lapses from the date of expiration. An application must be filed within 18months within the date patent cease to have the effect. In that condition patentee or Legal representative has to make an application. Patentee claim’s the evidence which must support that the failure of payment was unintentional and there has been no undue delay in applying for restoration of the patent. In case, the prima facie case is not agreed on behalf of the controller then for restoration is made out, the applicant is notified of it and unless the applicant states within one month. Sometimes an application may be refused if the patentee fails to register a change of name before cessation; they must first apply for alteration in the register. If the name changes after it then their identity has to be proved. can a patentee extend the patent for another 20 years after the first 20 years have passed? or is it for a shorter period of time?? Dear Pramod, the parent period in India can’t be extended except some few circumstances.